Hyderabad and its immense history is a maze! If you are looking to crack it open or interested in listening to all the lovely stories behind our favourite monuments, The Hyderabad Walking Company by Navin Sigamany is your red-caped hero. 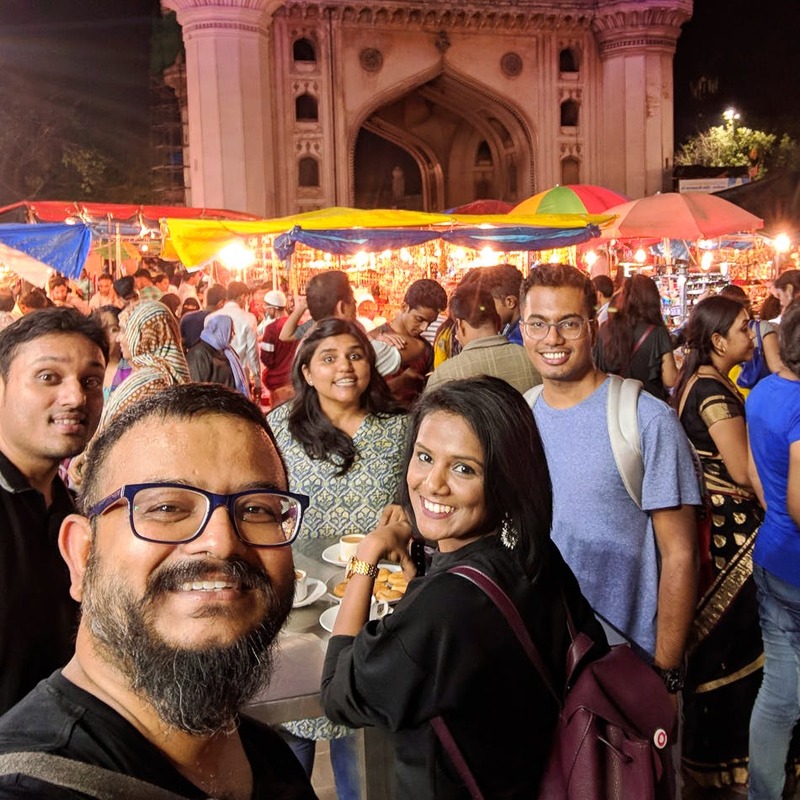 The fact that The Hyderabad Walking Company offers everything from overwhelming culinary walks to absorbing heritage walks under one roof makes it awesome. Navin (who is also an accomplished photographer) tells us how he fell in love with Hyderabad on his first visit. When he was offered a job a couple of years later, he instantly decided to move. Unlike other Indian cities, Hyderabad had only a sprinkling of walking tours despite being a city that has so much to offer. That's when The Hyderabad Walking Company was born — Navin explored the lesser known nooks and corners of Hyderabad, discovered hidden gems, and took up walking tours. While he also works in collaboration with other walking tour companies and local guides, there are plenty of interesting and fixed walks that you can look up on The Hyderabad Walking Company's website and sign up for! In fact, we've explored the streets of the Old City, dug into meaty delicacies, and discovered several hole-in-the-wall places with Navin. If you are a collector of stories or memories, you wouldn't want to miss out on these walks. Especially because The Hyderabad Walking Company has something new to offer, indefinitely. Plus, if you are new to Hyderabad, there is no better way to explore the city. Want to plan a tour? Get on their website and take your pick from Royal High Tea at Taj Falaknuma, Old Hyderabad Food Walk, Kingdom Of Diamonds or City Of Pearls Tour. Check which itinerary suits you the best, book your tour, and arrive in a pair of comfy shoes and walk on! The Hyderabad Walking Company is open to customise all the walks it offers. At the moment, they offer four types of fixed walks apart from luxury experiences that include less walking. Whatever is your choice, Navin can customise them to fit your time and interest.